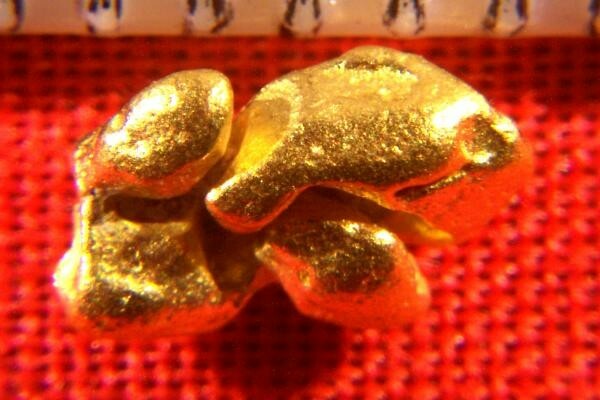 You almost never see a natural gold crystal nugget from Australian, especially one with multiple gold crystals like this one. 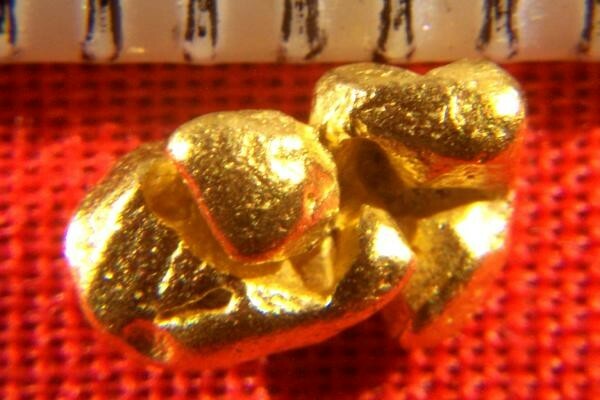 I bought six of these gold crystals from a gold prospector friend in Australia, and this is all he found, so I can't get any more. I see eroded cube formations and octahedrons with many eroded and rounded naturally faceted surfaces. It is really amazing to look at with a loupe. 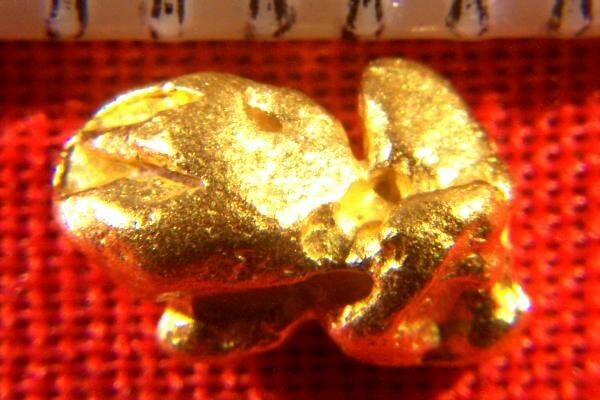 This gorgeous natural gold crystal nugget measures 5/16" (8 mm) long and it weighs in at 13.3 Grains (0.86 Gram).